Left and right balconies run perpendicular to the stage. 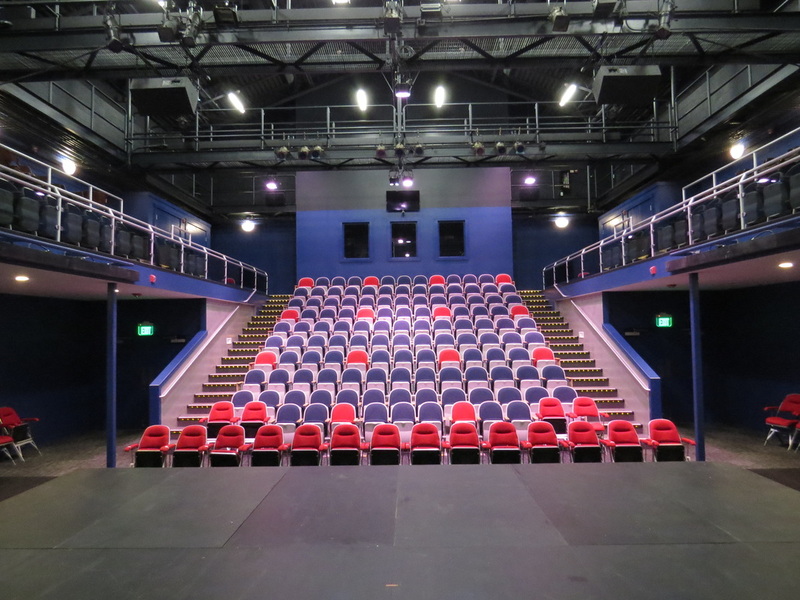 These seats face the opposite balcony, so patrons will need to angle their body slightly to view the stage in the current configuration. Seats in the second row of the balcony are high stools with seat backs that may not be appropriate for individuals with limited mobility. Depending on the production, there may be some reduced visibility of certain parts of the stage from the balconies. Please inquire with the box office when purchasing your tickets. 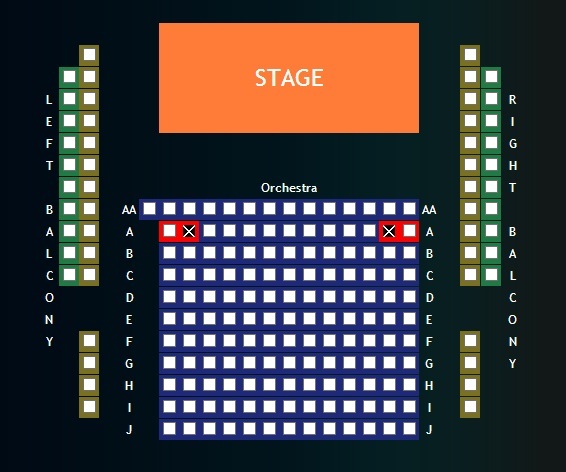 Please note, this is our standard seating chart but the configuration sometimes changes for selected productions. If you have a question about seating, please contact the box office at (603) 279-0333. There are 11 rows in the the stadium seating of the orchestra section (The blue boxes, rows AA-J). The second row is reserved for handicap accessible seating (red boxes), and handicap companion seats.